Along with circuits like Bathurst, Clipsal and Townsville we always seems to have a good run at Mallala. Last weekend was no exception. 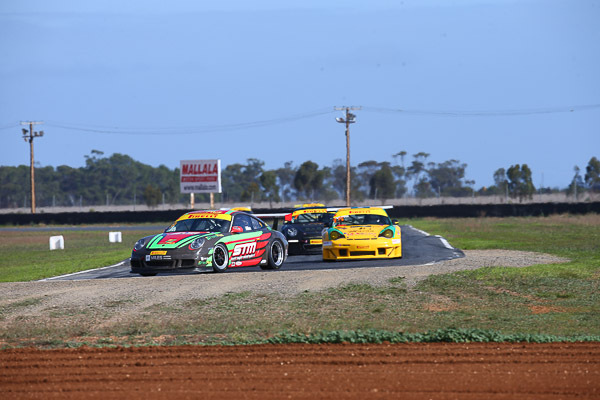 Our GT3 Cup Challenge Drivers managed to continue their great form at the technical South Australian circuit with McElrea Racing Drivers once again taking two of the three podium positions in B Class. This round was the first to include a one hour endurance race which was held in the twilight of Saturday evening. MR Pro-Driver and current Carrera Cup Championship leader Warren Luff was on-hand to give some one-on-one coaching as part of our MR Driver Development program. 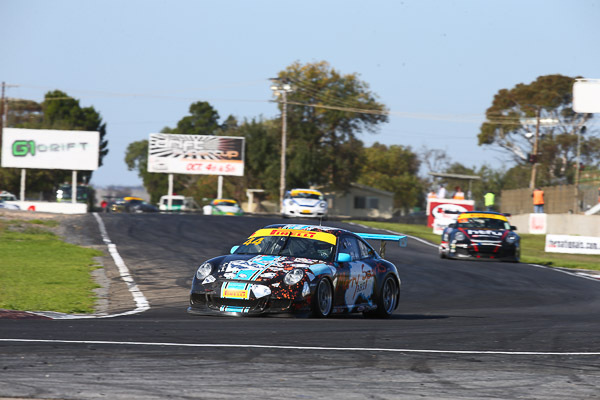 Emerging star Matt Campbell once again did an exceptional job with 5th, 3rd & 4th outright against the far superior 2011 cars to record his third GT3 Cup Challenge B Class clean sweep in succession. Matt Campbell continues his clean sweep in B Class..!! Tim Miles had a tough weekend despite some early promise. After a wild spin in Race 1 he fought back over the remaining 38 laps to recover and finish a respectable third in B Class. Unfortunately, Tim was ushered off the road by the same driver in races 2 and 3. 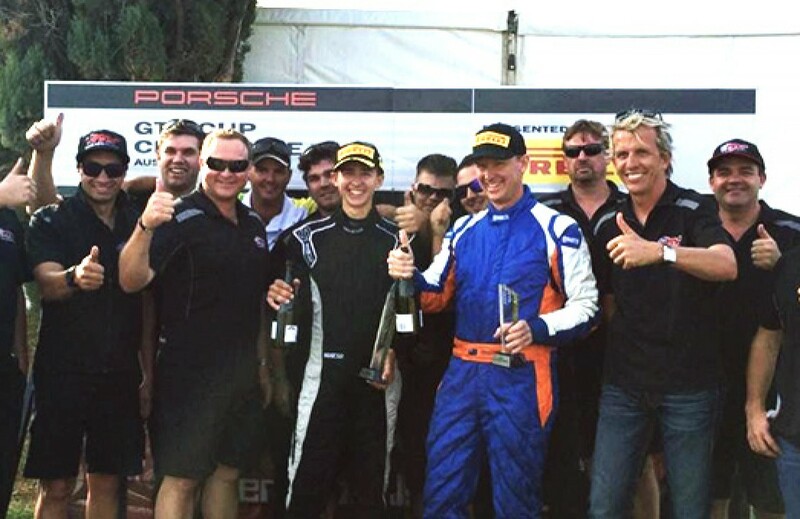 Despite missing the last GT3 Cup Challenge round at Sandown, Grant is proving to be a very quick learner and benefitted from some intense coaching from Luffy to take his first ever podium in Porsche GT3 Cup Challenge. We look forward to seeing Grant’s onging improvement as he has already improved enormously since joining McElrea Racing late last year. Grant Sparks continues his improvement with a podium finish at Mallala..!! 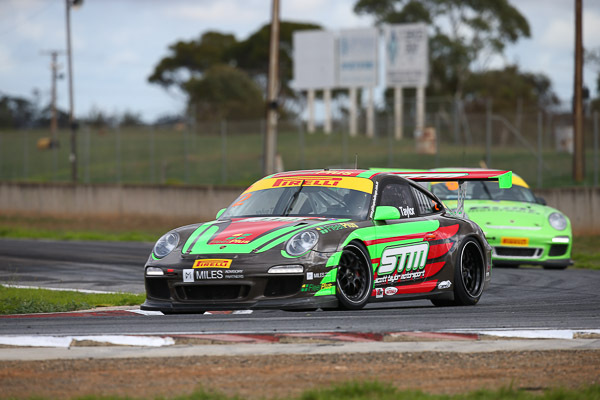 Scott Taylor made great gains at Mallala with his most consistent performance of the season netting him 3 well-earned top-6 finishes in A class. Scott was also very generous in contributing some desperately needed funds toward Matt Campbell’s race budget. Scott Taylor gets some consistency finishing in the top 6 in all 3 races..!! 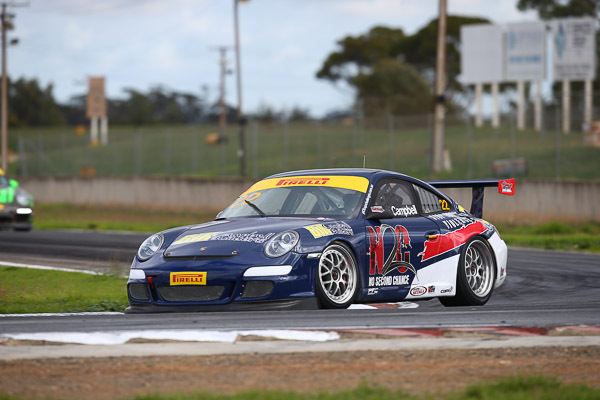 We are looking forward to Round 4 of the GT3 Cup Challenge Championship at Winton in June..!! You can read the official news from the GT3 Cup Challenge Website here.